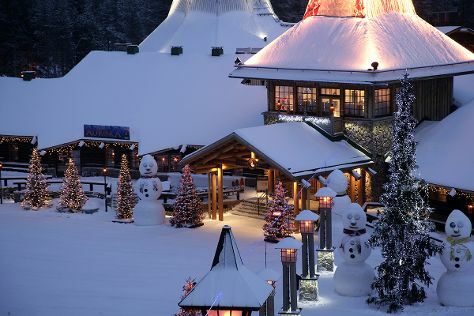 Kick off your visit on the 17th (Wed): experience the excitement of Feelapland, then enjoy some diversion at Santa Claus Office, and then find something for the whole family at Santa Claus Village. To find maps, other places to visit, where to stay, and tourist information, refer to the Rovaniemi travel itinerary planner. Chicago, USA to Rovaniemi is an approximately 15.5-hour flight. You can also do a combination of flight and train; or do a combination of flight and bus. The time zone changes from Central Standard Time (CST) to Eastern European Time (EET), which is usually an 8 hour difference. Traveling from Chicago in July, expect Rovaniemi to be a bit cooler, temps between 67°F and 52°F. 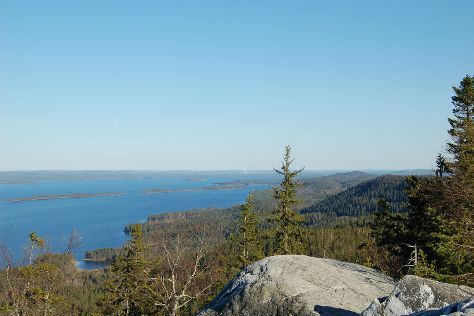 Finish your sightseeing early on the 17th (Wed) so you can travel to Koli National Park. Start off your visit on the 18th (Thu): take an unorthodox tour of Uhrihalkeama, then hike along Akka-Koli Hill, and then trek along Paha-Koli Hill. 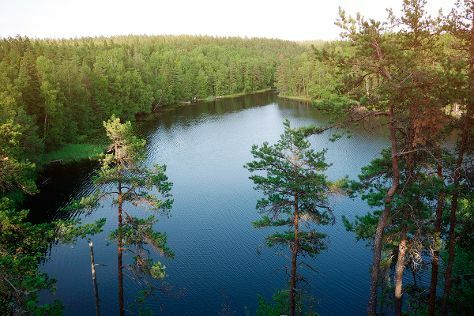 Keep things going the next day: identify plant and animal life at Kolinuuron kierros Nature Trail, hike along Ukko-Koli Hill, and then explore the activities along Pielinen. To see other places to visit, where to stay, more things to do, and tourist information, you can read our Koli National Park trip planner . You can drive from Rovaniemi to Koli National Park in 6 hours. Another option is to fly. 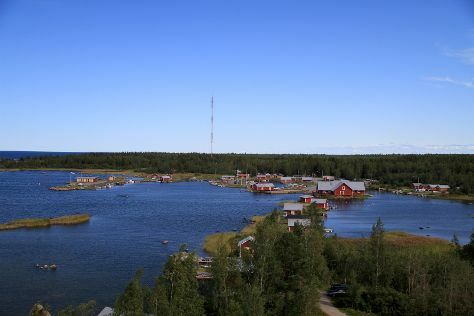 In July, daytime highs in Koli National Park are 69°F, while nighttime lows are 53°F. Finish your sightseeing early on the 19th (Fri) so you can travel to Vaasa. On the 20th (Sat), take in the dramatic natural features at Kvarken Archipelago World Heritage Site. For traveler tips, reviews, maps, and tourist information, go to the Vaasa day trip app . Getting from Koli National Park to Vaasa by car takes about 6 hours. Other options: fly. Expect a daytime high around 68°F in July, and nighttime lows around 52°F. Finish your sightseeing early on the 20th (Sat) so you can travel to Helsinki. Rock Church and Sea Fortress Suomenlinna will appeal to history buffs. When in Helsinki, make a side trip to see Nuuksio National Park in Espoo, approximately 46 minutes away. Pack the 23rd (Tue) with family-friendly diversions at Linnanmaki Amusement Park. There's much more to do: take in the architecture and atmosphere at Helsinki Cathedral, take in the spiritual surroundings of Uspenskin Cathedral (Uspenskin Katedraali), and have some family-friendly fun at Flying Cinema Tour Of Helsinki. For reviews, other places to visit, where to stay, and other tourist information, go to the Helsinki travel planner. Traveling by flight from Vaasa to Helsinki takes 4 hours. Alternatively, you can take a train; or drive. July in Helsinki sees daily highs of 71°F and lows of 55°F at night. Finish your sightseeing early on the 23rd (Tue) so you can travel back home.